Thinking about a rewarding career within the diagnostic medical sonography health sector? You’ll find some truly exceptional sonography schools in Kentucky that you really ought to short-list when you are searching. Kentucky is a very appealing, modern and vibrant location to work and play in. The region has slightly under 4.4 million inhabitants, helping to make the state of Kentucky the 26th major state in America. The state’s most important urban center is Louisville, with approximately 570,000 citizens. Having a thriving and significantly senior community in need of modern health care, Kentucky provides you with some fantastic job opportunities for sonographers – especially centered around the heavily inhabited urban regions of Louisville, Lexington, Bowling Green, Covington and Owensboro. Better still, you can find a great choice of accredited sonography schools in Kentucky which can provide you with a range of outstanding tuition courses. Throughout Kentucky, there is no need for diagnostic medical sonographers and ultrasound technicians to become state licensed. But in reality, without holding recognized sonographer qualifications, it’s unlikely you’ll be accepted for ultrasound tech jobs in the vast majority of Kentucky healthcare institutions. In today’s competitive economy, you’ll rapidly discover that healthcare providers insist on sonographers possessing an approved certificate or degree in ultrasonography obtained via any of the accredited sonography schools in Kentucky. So for those seriously interested in a job in sonography (not to mention making the very best sonographer salary! 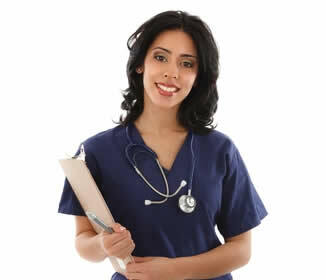 ), obtaining the right sonographer tuition and practical healthcare skills is really important. To help you focus your search, here are all the educational programs available from accredited sonography schools in Kentucky. To become a modern diagnostic medical sonographer, you can take one of three specific courses provided by university or college level sonography schools in Kentucky. These programs are diagnostic medical sonographer diplomas, associate’s degrees and bachelor’s degree programs. For anyone after the quickest way to get qualified and start a new job, a diploma level course will probably be the kind of training you’ll be looking for. Diplomas can take as little as a year to accomplish. Within the study framework, you will receive equal tuition in principles and workplace applications of sonographic technology. There are two sonography schools in Kentucky which provide sonographer education for diploma qualifications. In contrast, if you are happy to take more time to study for your specific sonography training, there’s a chance you may be more inclined towards associate’s degrees. An associate degree is taken over a term of 24 months, and is a favored route for high school students together with those individuals lacking previous health related experience or skills. There are presently three sonography schools in Kentucky accredited to deliver ultrasound technician training to the associate’s degree standard. The very last diagnostic sonographer course is the bachelor’s degree program. Bachelors courses via accredited sonography schools in Kentucky take place across a 4 year time span. Many aspiring sonographers generally choose a two-year associate’s degrees instead of the comparatively longer term of a bachelor’s degree program. There is currently just one of the sonography schools in Kentucky which is able to give bachelors level sonographer instruction. With a variety of sonography schools in Kentucky to look at, it really is crucial to thoroughly research all your available options. If you want to use your sonographer qualification to secure a good job, it should be issued by one of the few sonography schools in Kentucky that is currently accredited by the appropriate regulatory body for sonography tuition. 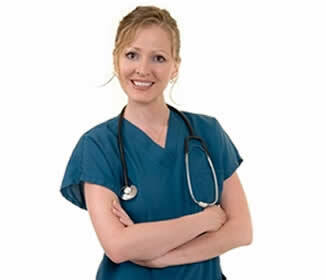 The institution which approves ultrasound technician and sonography schools is known as CAAHEP (the Commission on Accreditation of Allied Health Education Programs) Should you come across any sonography schools in Kentucky which lack CAAHEP accreditation, you would be wise to avoid using them for your training. Always remember that future employers may not accept an unaccredited course as proof of competency, and this could have a major impact on your job prospects. 1845 Loop Drive, Bowling Green, KY 42101. Tel: 270-901-1082. 800 West Chestnut Street, Louisville, KY 40203. Tel: 502-213-4502. 150 University Boulevard, Morehead, KY 40351. Tel: 606-783-2647. 2735 Bardstown Road, St Catharine, KY 40061. Tel: 859-336-5082. 4810 Alben Barkley Drive, Paducah, KY 42002. Tel: 270-534-3487. The above five colleges and universities are classified as the sole accredited sonography schools in Kentucky which have been currently authorized by CAAHEP for the provision of sonographer and ultrasound technician education. With a healthy selection of individual sonography schools in Kentucky to consider, try to check out all five colleges to get complete details of the various courses which are available to you.